I can read a poet now and tell within a few lines if they have been encouraged by their parents. You know the ones who have been told from an early age: "It's marvellous Tarquin." It's invariably rotten. The same holds true, I believe, of actors. Leaving aside for one moment those from established Thespian families (the Redgraves and Fondas of this world), actors can easily be divided into individuals whose parents pushed them, and the rebels who had to jump ship to get into the business. That's not to say the likes of Dirk Bogarde or Toyah Wilcox turned into "rotten" actors, though there was a quality of self-satisfaction about their work which they needed to overcome. Lawrence Olivier came not from a theatrical background but from a High Anglican vicar father with an interest in the stage. By substituting religion for the theatre, Shakespeare for god, his single-parent upbringing and being sent off to drama school at the age of seventeen, we can appreciate how Olivier sprang from between two sources: sub-noble scion and gang-show bore. Bolted on to that, the early years of slogging at his craft and mixing with sundry Method actors (yes, John, there's always one hanging about), comedians and natural talents, Olivier honed himself into the greatest ham of all time. This much, John Cottrell's book tells us, though never so directly. We could have expected a more in-depth analysis of the actor's psychological make-up from the writer of a "best-selling account of the assassination of President Kennedy". Instead we get copious notes on the false-noses, hair-dos, voice production and other externals that make up an actor's craft, along with some details on his career as empressario, then as first director of the Chichester Festival and National Theatres. Of his three marriages, four children (by two wives), home life, friendships and out-of-theatre interests, we get some snippets - though few of them choice or telling asides. The fact that Oliver was still very much alive when this biography was published (coinciding with his seventieth birthday; he was to go on living and working for another decade and more) seems to have inhibited not merely its content but its scope. As a straight forward account of Laurence Olivier's progress from child actor to his elevation to the peerage (he was the first actor to be granted a seat in the UK's House of Lords), this biography does a tolerable job. Graduating from the Central School of Speech Training & Drama in 1924, the artist served an apprenticeship at Birmingham Rep and rose, within a few years, to become a juvenile lead in London's West End. He made early forays into talking pictures and by the close of the 1930s had established himself on both stage and screen both sides of the Atlantic. His partnership with Vivien Leigh (second wife) continued through and beyond World War Two with both taking starring roles in acclaimed films (she in “Gone With the Wind”, he in “Pride and Prejudice) and in stage productions (appearing together as Lord and Lady in “Macbeth”). He also followed his colleague Ralph Richardson into active service in the Fleet Air Arm as a pilot, though for most of the conflict he was seconded to the entertainment side of the war effort. His filmed versions of three Shakespeare plays (“Henry V”, “Richard III” & “Othello”) were considered milestones both for their use of the medium and for popularising English classical theatre. Olivier could turn his hand to a wide variety of roles and acting styles. For example, as he approached his fiftieth birthday, he was able to star alongside Marilyn Monroe in “The Prince and the Showgirl” (1956); then on stage as a fading music hall comedian in John Osborne's “The Entertainer” (1957, filmed in 1959). The 1960s saw a slight reduction in his stage and screen work as he took on the administrative role of directing the National Theatre, however he was still capable of turning out powerful stage performances, such as “Othello” and many cameo roles on film (for example, “Oh, What a Lovely War!”). 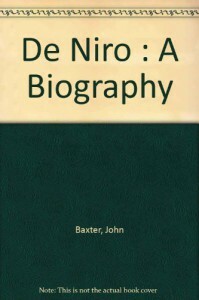 This biography only goes up to 1976, when he had given up his twelve year stint at the National (while continuing to act for the company) , and had made films such as “Sleuth” (with Michael Caine) plus various TV roles (Shylock in “The Merchant of Venice” and Nikodemus in “The Life of Jesus Christ”). So often in the past he had been a law unto himself in his interpretation of a part, going his own unpredictable way to great personal advantage but sometimes at the expense of the production as a whole. The year is 1963, the fourth decade of his professional career. Are we to assume that some of the failed productions were due to Olivier upstaging fellow actors? We are told the 1940 production of “Romeo And Juliet”, in which he and Vivien Leigh starred together, flopped when it reached Broadway. Why? Cottrell merely suggests the New York critics were prejudiced. That hardly explains why the couple who were about to star in a film together (as Nelson and Mrs Hamilton - a wartime triumph both sides of the pond) failed so spectacularly on stage. They had sunk their personal fortunes into the lavish production and done well enough on the road. They were, moreover, newlyweds and every bit as famous as Richard Burton and Elizabeth Taylor were to become two decades later. Without further exploration, we may be excused from wondering if Olivier - as Romeo - upstaged his Juliet. Or did Olivier lose his nerve? Without closer analysis we will never know, but it is the job of the biographer to do so. In his penultimate chapter, Cottrell singles out Olivier's physical fitness and physical presence as two of his major strengths. He goes on to catalogue injuries he sustained both on stage and in front of the camera, including thrust and slash wounds from swords, an arrow in the leg, a broken ankle and electric shock. At times he would throw himself about the stage in unrehearsed business, and at others he would routinely perform leaps and bounds – at one time, after a bracket had broken, being left dangling ten metres above the stage from a piano wire. All of which suggests a recklessness which is at somewhat at odds with the man's conservative image. Indeed, it seems Olivier was that rare animal, the old school revolutionary. Never wishing to appear “old hat” (a favourite phrase) he would embrace the unconventional. Cottrell presents evidence to support the idea he was in fact rather awkward at times and that - though fond of grand japes - his behaviour could be either ungraceful or downright clottish. On his first day of operational duty at the Fleet Air Arm, he was taxiing a seaplane across the tarmac when he crashed it into two other planes, knocking all three out of action. One evening at the National, he gave such a tour-de-force performance of Othello that the whole cast lined the corridor to his dressing room, cheering him as he went by. He strutted past them and slammed the door behind him. Apparently he was upset because he knew he could never repeat the performance. To behave with such gracelessness before his fellows seems at best a lack of feeling, at worst the antics of a callous boor. While he so often excelled in stage charisma was he sometimes weak in self awareness? There are precious few anecdotes in this biography, concentrating as it does on the actor/manager's successes and failures. We are told of his friendship with Richardson but only once do we see really them together, when Olivier was taken for a spin in his friend's new car, along with his new wife. The joke is funny enough but on its own does not amount to a portrait of their relationship. The rest is exchanges of advice here and there. You are left speculating perhaps the pair were not really friends at all, that there might have been more rivalry than companionship between them. So Cottrell doesn't really pursue Olivier the man. In the last chapters we learn he had a temper, but were are the shouting matches with Kenneth Tynan? And what were they about? Why was he so irascible at times? Did he drink too much? And what really happened between him and Vivien Leigh? I'm not tempted to say this biography asks more questions than it answers. The real problem is, it questions too little of Olivier's life and work.